The Watertown Humane Society started back in 1976 with the goal of obtaining custody of animals that have been brought into their care allowing them the ability to start the process of finding them new loving homes. Their love for helping animals and the ability to give them a second chance at finding a fur-ever home is what continues to keep them going each year. Their purpose is to help prevent cruelty to animals, to relieve animal suffering, assist in the enforcement of laws pertaining to the humane treatment of animals, and the extension of humane education. Their mission is to provide for the lost, homeless, neglected and abused animals of the City of Watertown and surrounding communities it contracts with, and to educate and enlighten the public regarding animal welfare. In the average year they will receive and adopt out 4 rabbits to forever homes, with this year being the exception. Since they contract with the City of Watertown, they were recently given 57 rabbits and 135 guinea pigs that were seized from a home. The Watertown Humane Officer placed the animals in their care until a hearing is held regarding the ordinances that were broken. 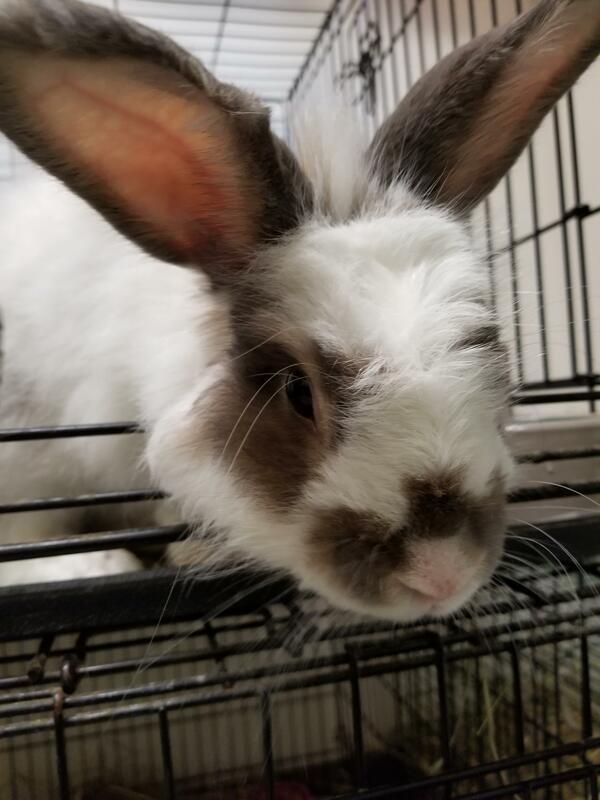 The owner surrendered 21 of the 57 rabbits, which allowed the Watertown Humane Society to enlist the assistance of other shelters. This still leaves them with 36 rabbits to take care of. Also, 12 guinea pigs have been born while in their care and they have found many more of the female guinea pigs are pregnant. Being a small shelter and never having to take on a care case of this magnitude before, it’s understandable that things are a little crazy for them right now. Luckily, they have wonderful volunteers to help. Four weeks have past and the Watertown Humane Society is still waiting on the court to set a date for the hearing that will determine if they are granted custody of the animals or if they will go back with their original owner. Until then they will continue to take care of all their needs, including feeding them food like HAY. This is where your help comes in! Since Watertown Humane Society is a non-profit organization, they rely solely on donations and the quarterly contract payments they have with the City and surrounding areas. Our team at Rabbit Hole Hay will be doing our part to contribute, but we need your help too! You can donate to Watertown Humane Society by purchasing our Hay at 50% off! Your donation will go directly to helping to feed the rabbits and guinea pigs. You can start to donate at 8am on Tuesday August 14th through noon on Wednesday September 5th. To make it easier for you to donate we have added a button at the top of our website that says “YES! I WANT TO HELP! CLICK TO DONATE” and it will take you directly to the page where you can purchase hay for rabbits and guinea pigs in need. You can also click here to go to the donation page. If you would like to help out more than by just donating hay, you can donate to the Critter Aid, Give Today GoFundMe page. Your tax-deductible donation will help them continue to purchase all that they need for the guinea pigs and rabbits in their care. 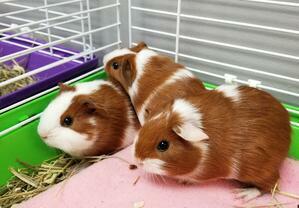 We can’t thank you enough for partnering with us to help the rabbits and guinea pigs of Watertown, Wisconsin.